The 1988 Winter Olympic Games in Calgary was one for the underdogs, and inspirational sports movies, with the Jamaican national Bobsled and underdog ski jumper Eddie “The Eagle” Edwards, finishing last in all his events but winning over the audience with his charm and enthusiasm, both stepping up to the plate. The first subject, of course, inspired Cool Runnings, and now Dexter Fletcher (Wild Bill, Sunshine on Leith) is bringing Eddie the Eagle to the big screen, with Taron Egerton donning the glasses of ‘heroic failure’ Edwards in a story that delivers a charming, joyous and delightful tale of determination and belief in one self. 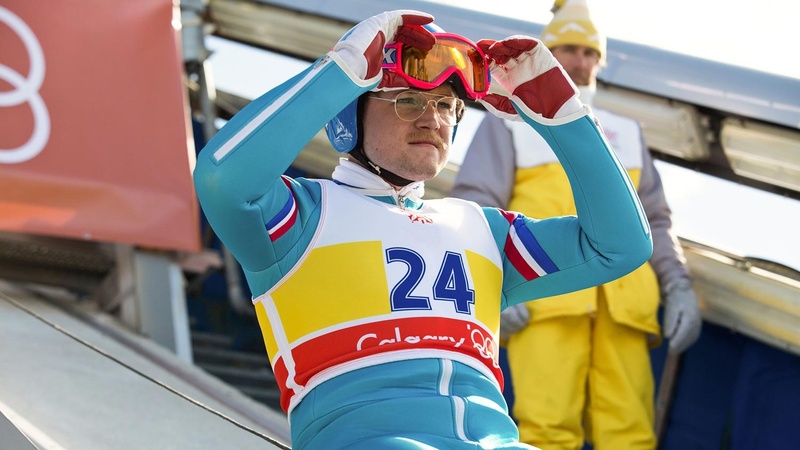 Eddie the Eagle is a rare beast in this day and age, an old school style sports movie that is more concerned with putting a smile on your face than delivering the facts. Much of what is presented onscreen is the product of John Macaulay’s script, which is a bit of a shame because reading into Edward’ real life story does throw up some really interesting tidbits, including the fact he spent some time residing in a Finnish mental institution, due to having no other place to stay rather than being a patient. But the script does deliver some absolutely wonderful moments as Edwards teams up with the reluctant, and totally made up, Brosnan Peary (Hugh Jackman), a disgraced former American ski jumper, to show the world years of training doesn’t hold a candle to determination and a massive heart. 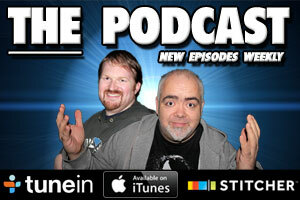 If you grew up on the likes of Cool Runnings and The Mighty Ducks, you know full well what you are in for. But Eddie the Eagle brings with it a tremendous amount of charm and massive heart that will have you seeing past the cliches and cheering along with crowds in the movie. Egerton’s performance goes a long way to making this movie work. He is instantly likable, and his enthusiasm and never give up attitude is infectious. You will be beaming from ear to ear whenever he’s on screen, and will really feel for him when the world gangs up on him. But then he’ll smile and flap his arms, so everything’s fine once again. He has an amazing chemistry with Jackman, whose Peary works incredibly despite the fact his character is ‘disgraced mentor 101’. They play off each other so well, their scenes apart slow down the movie’s pace somewhat. Once the story kicks into high gear, there’s really no stopping it as Eddie and Peary have their hearts set on Calgary. The introduction of conflict in the form of the British Olympic Council refusing to revel in Eddie's mediocrity along with everyone else does’t really ring through, feeling a bit forced at times, but it’s only a minor niggle, because by the time Eddie sets up for his final jump, you’ll be cheering him no matter what, and the movie has done its job. Eddie the Eagle is not one for cynics, so if you’re willing to accept the cliches, you rewarded with an absolutely charming, heart warming and delightful experience.